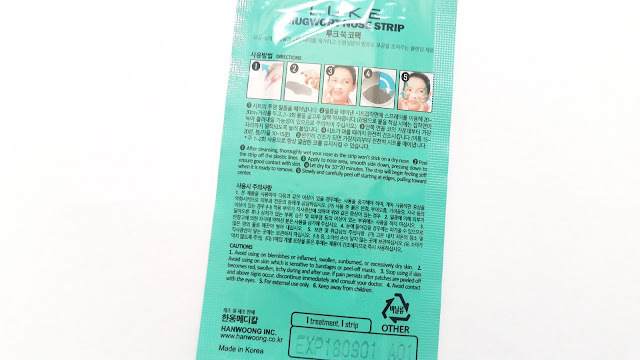 We are back with another Skin18 multi mask review. This time, there are 7 different masks and 6 of them are new to us. Just like last time, we have divided the masks based on our skin types and we'll share with you whether they worked for us or not. For those new to Skin18, they are an online Asian Beauty retailer that mainly focuses on skincare products. They have a wide variety of masks, toners, mists, moisturizers, etc. They are, however, mainly known for their masks as they always have a lot of great discounts and promos for them. Anyways, let's get to know the masks we got! 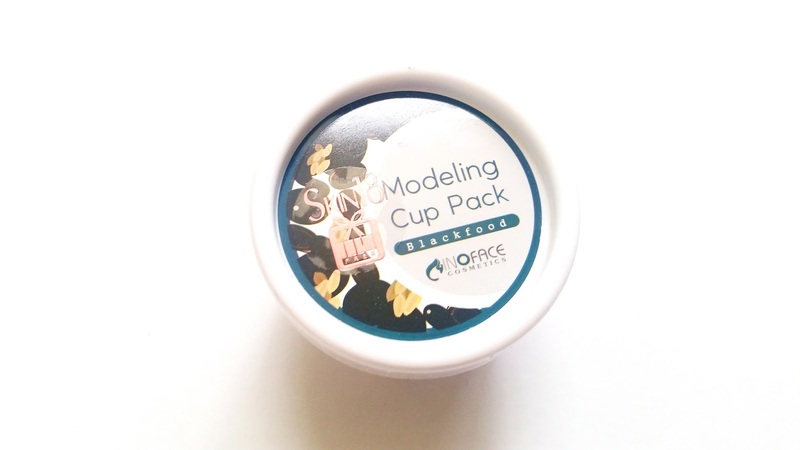 Product Description: The Inoface Blackfood Modeling Pack comes in a powder form and water needs to be added to create the actual mask. A modeling mask, aka rubber mask, or peel off mask has a rubber like texture when dried. Modeling masks are often used in professional spas to provide treatment for different skin issues. This blackfood mask can help to remove dead skin cells, provide pore care, while soothing and smoothing rough skin. It has anti-aging properties and will provide nourishment and resilience to the skin. 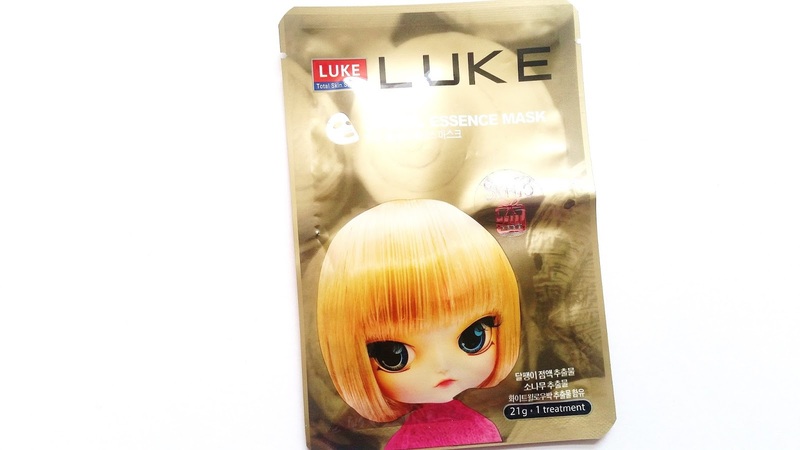 To prepare the mask, add the suggested amount of water and stir the mix quickly until it becomes a smooth paste. The mask is then applied onto the face and left to dry for 15 to 20 minutes. Peel off the mask slowly and wipe off any excess with a cotton soaked in toner. 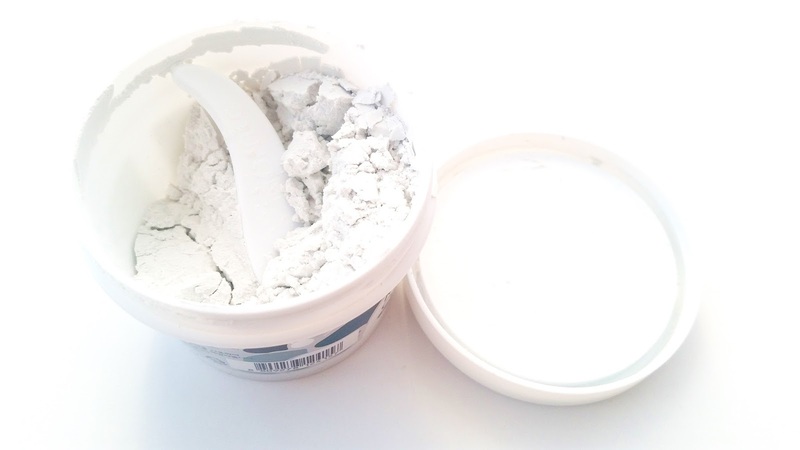 Ingredients: Diatomaceous Earth, allgin, glucose, calcium sulfate, terasodium pyrophosphate, magnesium oxide, chlorella vulgaris powder, sodium hyaluronate, glycyrmiza glabra (licorice) root extract, allantoin, Cl 77288, fragrance. A spatula is provided with the modeling mask. Helen's Thoughts: I was not always a fan of rubber masks. It can be hard to get the right water to powder ratio and mixing is a big aspect of getting the right consistency as well. If the consistency is wrong, it could ruin your entire masking experience. However, having tried a few modeling masks by now, I find it is easier to figure out the right consistency and mixing time. I still run into small issues every now and then, but it is not as often as before. I guess you can say this is one of those practice-makes-perfect products. Like most modeling masks, the Inoface Blackfood mask feels really soothing on the skin. After I removed the mask, my skin felt smoother and a bit more resilient as well. The modeling mask is not exactly made for my skin type, as it is tailored more for those with combo to oily skin types. However, I can still use it with no issues. My daughter and I actually shared this one container of mask because it comes with a lot of product. This is not the best modeling mask I have tried so far, but it is still pretty great. Michelle's Thoughts: Like my mom, rubber masks and I have a love-hate relationship. Getting the right consistency has been an issue for me for a long time. While I know I have to practice to get it perfect, sometimes I just want it ready to go. Anyways, my mom and I got to share this Inoface Blackfood modeling mask because there's almost always enough for 2 uses in these individual modeling masks. The Blackfood rubber mask is suitable for my skin type because it's customized for those with combo to oily skin types (which is pretty much me). It felt comfortable when applied and the entire 20 minutes felt really relaxing. Once remove, my skin looked clean, clear and smooth. I had a few blemishes on my skin and they looked less irritated. The mask did a decent job with the pore care it provided, as it helped to control excess sebum. It left my skin feeling soft and plump as well, which was great. I think I would like to try more modeling masks from this brand and other brands! Product Description: Luke Nose strips works like many common nose strips by sticking to the dirt and sebum in pores than removing it through a pulling action. This particular one is formulated with mugwort, which is known as an ingredient to be effective in healing acne. Michelle's Thoughts: I actually reviewed this product in my last Skin18 Multi Mask review and if you recall, I wasn't exactly a fan of it. Although, I generally have a love-hate relationship with most nose strips anyways so it wasn't a surprise to me. Nose strips are satisfying to use but can be harsh on the skin, which is one of the reasons why I have a love-hate relationship with them. 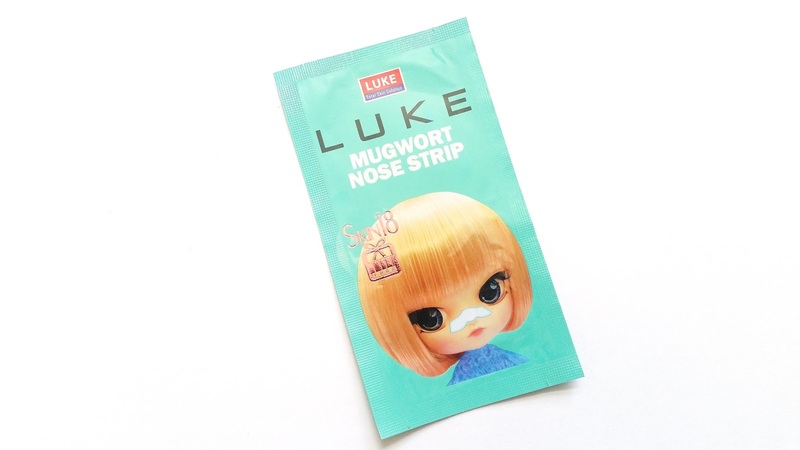 This Luke Mugwort Nose strip was pretty meh and it had more cons than pros. It had a rather odd scent and the sticky part doesn't come off clean, so I had to do some extra cleansing afterwards. I probably wouldn't purchase this in the future. Product Description: The Mirum Fresh Fruit Green Tea Real Nature Mask is known for its cooling and moisturizing skincare effects. It's formulated with green tea extract to relieve stressed skin while boosting its moisture levels and nourishing it at the same time. 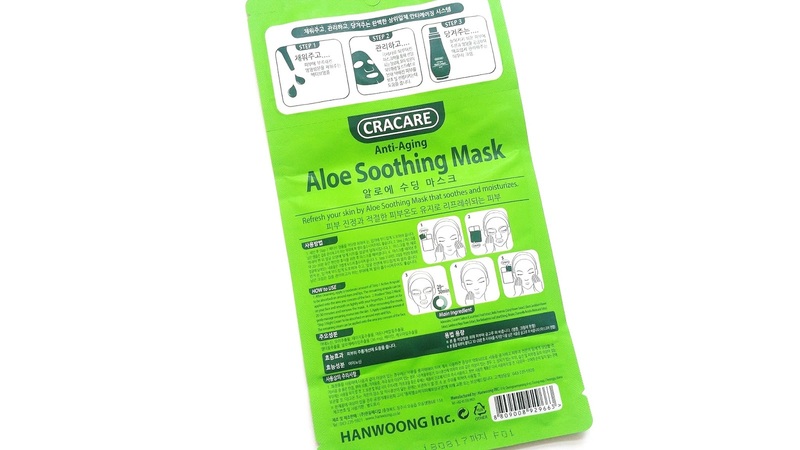 The mask is made with 100% cotton material which allows for better essence absorption. Ingredients: Water, glycerin, butylene glycol, carbomer, disodium EDTA, allantoin, dipotassium glycyrrhizate, PEG-60, hydrogenated castor oil, green tea extract (500ppm), sodium hyaluronate, methylparaben, ceteareth-1-20, steareth-20, tocopheryl acetate, glyceryl stearate, cetearyl alcohol, neopentyl glycol dicaprate, cetyl ethylhexanoate, phenoxyethanol, triethanolamine, fragrance. 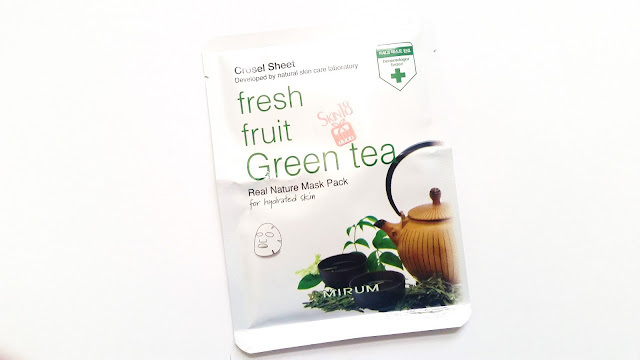 Michelle's Thoughts: Having tried a Mirum Fresh Fruit mask before, I knew what to expect this time. Just like last time, this Mirum mask isn't anything to brag about. I tried their Honey mask last time and it left me disappointed. While the Green Tea mask isn't as disappointing, it's still just an average mask. I ran into the same issues with the fit of the mask and again it didn't stay nicely either. Fragrance is added to the mask, so consequently the mask has an artificial green tea scent which I'm not very fond of. 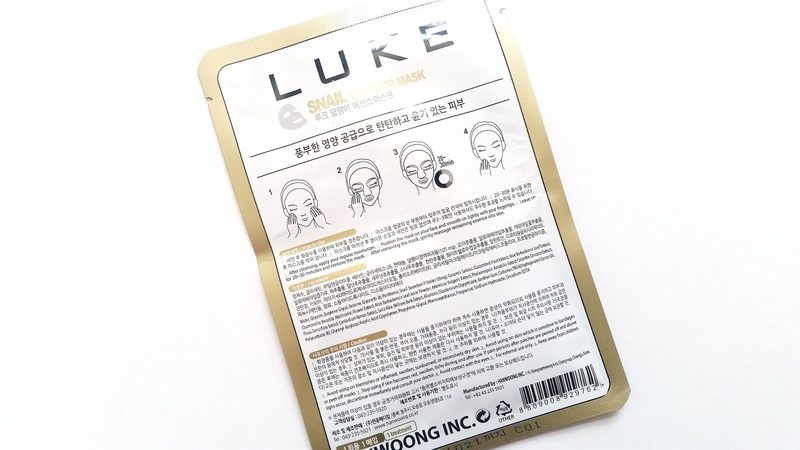 The mask was able to provide decent moisture effects to my skin and left it looking slightly brighter, but I wish the effects it provided were more noticeable and more potent. 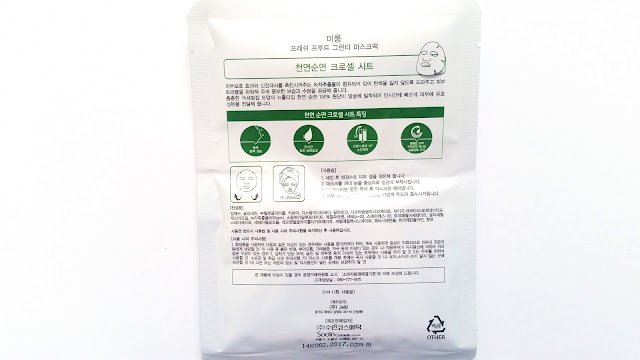 One good thing about the Green Tea mask is that there's plenty of excess essence in the pouch, so you can apply the excess essence onto your neck as well. Product Description: Hydrogel eye patches are masks for the under eye areas. These ones are formulated with collagen to help firm the under eye areas while providing nourishment to it. 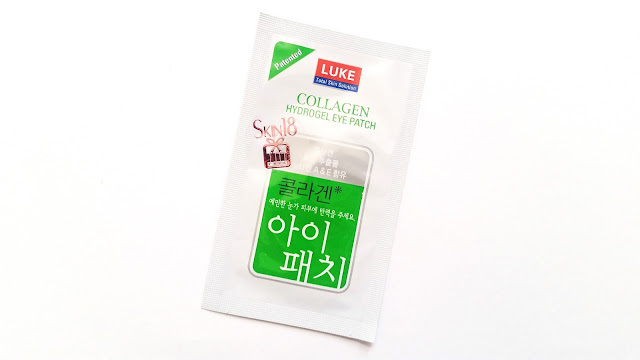 The Luke Collagen eye patches promises to help provide anti-aging care to the under eye areas and help reduce dark circles and puffiness. 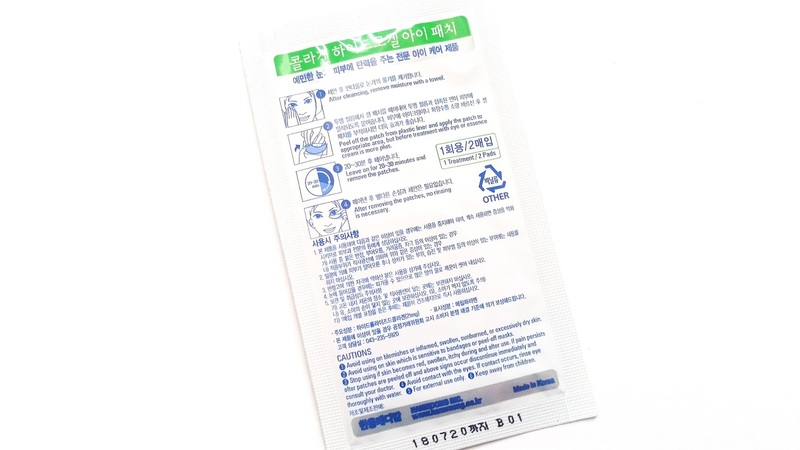 These eye patches also contain various vitamins and green tea to supply even more nutrients and moisture to the skin. Helen's Thoughts: Admittedly, these are not the best under eye patches I have ever tried. I was kind of disappointed by the lack of skincare benefits they offered. These under eye patches are just not as effective. The skincare benefits they provided were temporary and they did not make much of a noticeable difference. Product Description: The Cracare Anti-Aging Aloe Soothing Mask is a 3 step mask that comes with an ampoule, sheet mask, and night cream. The 3 step mask provides you with the perfect skincare solution all in one package. It is easy to use and great for travelling as well. The products are formulated with herbal extracts to refresh, hydrate, smooth, revitalize, and moisturize the skin while giving the skin a clear & heathy complexion. Main ingredients: Adenosine, cucumis sativus (cucumber) fruit extract, bellis perennis (daisy) flower extract, luilium candidum flower extract, sambucus nigra flower extract, aloe barbadensis leaf juice powder, betaine, chamomilla recutita (matricaris) extract. Helen's Thoughts: I have never heard of this brand before and usually I do not worry about patch testing because my skin can pretty much handle anything. However, not having the full ingredient list caused a little bit of a worry so I patch tested. Luckily, it did not cause any irritations. 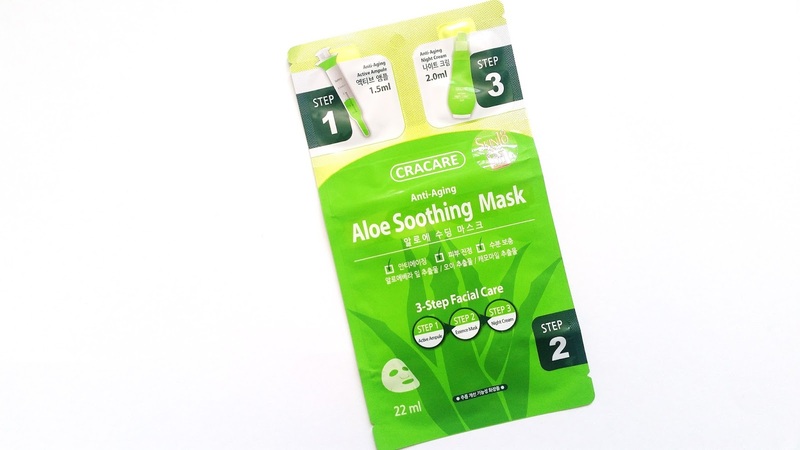 This is a 3 step mask that has an ampoule (step 1), a face mask (step 2), and lastly a night cream (step 3). Usually, my skincare routine is longer than 3 steps but for the purpose of testing this mask out I only used what was provided. The result? Better than I expected. I have used other multi-step masks in the past and they did not work out too well, so I had my doubts on this one as well. However, I was surprised by it. The Anti-Aging Active Ampoule was the first step. It has a lotion like texture that is creamy but not heavy. It was easy to apply and there was enough for 2 uses. So, I applied one layer of the ampoule than waited for it to dry before applying the rest of it. The next step was the sheet mask and it is your typical sheet mask. It is a bit thicker than I like and it did not have the best fit either. The mask was soaked with essence though and it felt soothing on my skin. Once removed, my skin looked brighter and felt hydrated as well. The last step was the night cream. It has a thicker texture than the ampoule and felt slighty heavier as well. The night cream is not as rich as my usual night time moisturizer but it came with enough product for two applications. So I layered it like I did with the ampoule. I was a little worried that all the layering could leave a sticky residue on my skin, but it did not. Instead my skin felt soft and smooth the next morning. I wish the night cream was more moisturizing but overall it was a really nice mask. I would love to try more masks from Cracare. 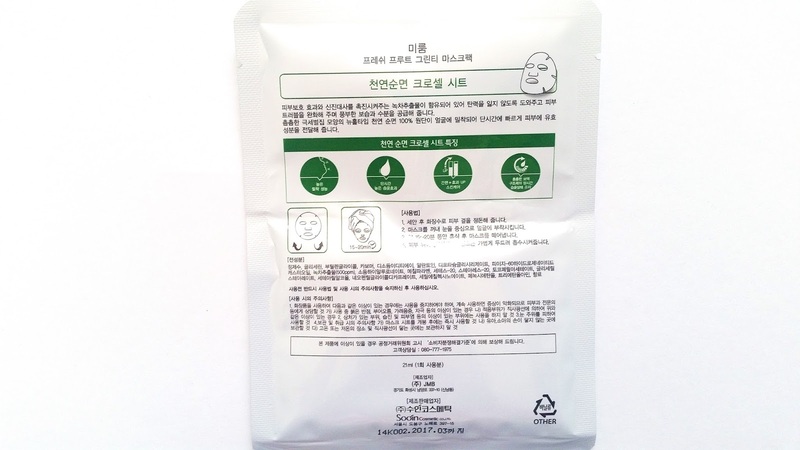 Product Description: This mask is formulated with that famous ingredient, snail filtrate. Snail filtrate contains elastin, proteins, and glycolic acid which are known to aid in collagen production in the skin and help it repair any damages done to the skin due to harmful ultraviolet rays. Its nourishing ingredients can also help to slow down the aging process as well. The mask works to deliver nutrition deep into the skin while it moisturizes and revitalize the skin. It can provide elasticity to the skin to help plump and firm the skin. Ingredients: Water, glycerin, butylene glycol, betaine, glycereth-26, panthenol, snail secretion filtrate (105mg), cucumis sativus (cucumber) fruit extract, aloe barbadensis leaf extract, chamomilla recutita (matricaris) flower extract, aloe barbadensis leaf juice powder, artemisia vulgaris extract, phalaenopsis amabilis extract, calanthe discolor extract, pinus densiflora extract, cymbidium kanran extract, salix alba (willow) bark extract, allantoin, dipatossium glycyrrhizate, xanthan gum, carbomer PEG-60 hydrogenated castor oil, polusobate 80, glyceryl acrylate/acrylic acid copolymer, propylene glycol, phenoxyethanol, fragrance, sodium hydroxide, disodium EDTA. Helen's Thoughts: One of my favorite skincare ingredients right now is snail filtrate. I know it does not sound inviting for some and I understand, I was once in your shoes as well. However, snail mucin is packed full of beneficial nutrients that is great for the skin. Still, just because a mask (or product) contains snail filtrate does not automatically make it an awesome product. This Luke Snail Essence Mask is good but not great. It has a light perfume scent that might not be welcoming for some. The fit of the mask is okay, not the best but certainly not the worst. For me, the nose area is a bit awkward but I just adjusted it by cutting it. The mask felt hydrating on the face but the effects were not long lasting after removal. My Skin did look glowy afterwards and it felt a bit more plump too. 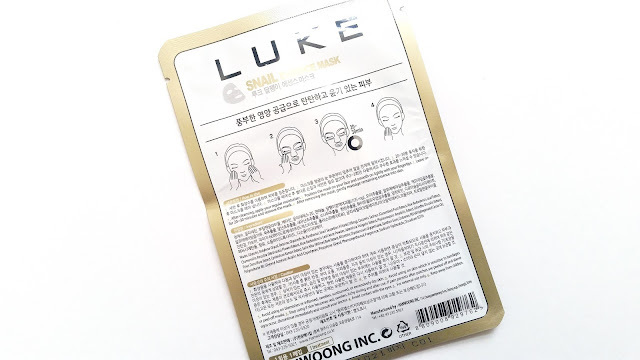 However, compared to other masks with snail filtrate as the main ingredient in the same price range, this mask's skincare effects is not as great. 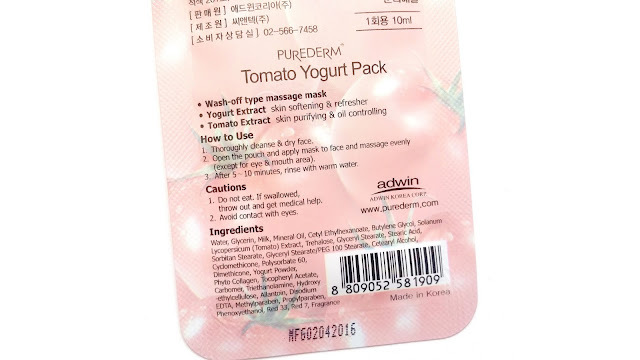 Product Description: The Purederm Tomato Yogurt Pack is a wash-off mask. 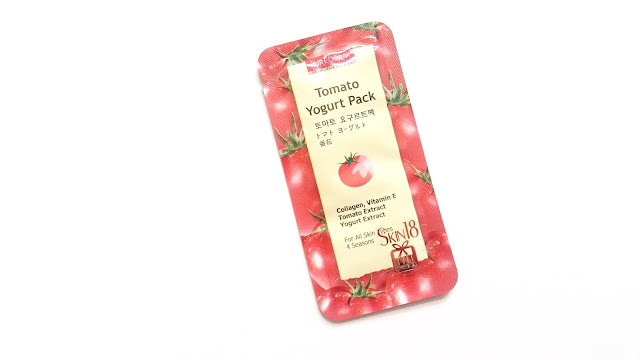 It's formulated with tomato extract known for its ability to help control sebum and provide a skin purifying effect. The yogurt extract in the mask can help to relieve stressed skin while softening and smoothing the skin in the process. The wash-off mask works to remove dead skin cells, tighten pores, and provide nourishment to the skin all at the same time. Ingredients: Water, glycerin, milk, mineral oil, cetyl ethylhexanoate, butylene glycol, sotaum lucopersicum (tomato) extract, trehalose, glyceryl stearate, stearic acid, sorbitan stearate, glyceryl stearate/PEG 100 stearate, cetearyl alcohol, cyclomethicone, polysorbate 60, dimethicone, yogurt powder, phyto collagen, tocopheryl acetate, carbomer, triethanolamine, hydroxyethycellulose, allantoin, disodium EDTA, methylparaben, propyparaben, phenoxyethanol, red 33, red 7, fragrance. Michelle's Thoughts: This Tomato Yogurt wash-off mask was okay in terms of its skincare effects. I did patch test ahead of time and it didn't cause any irritations for me, which is nice. I followed the instructions for the mask and left it on for a little less the 10 minutes. The results? My skin did feel a little softer and smoother. The mask didn't really help with stress relief but it did help a little with removing dead skin cells. Unfortunately, the wash-off mask didn't do much in terms of pore tightening or sebum control. At least, there wasn't any noticeable results, which was a disappointment for me. Final Thoughts: Well, this was a pretty divided lot of masks. Not every mask worked for us but it was still nice to test them out. We can both agree that the Inoface rubber mask felt really nice on the skin. It is not the best rubber mask we have ever tried, but it is still pretty great. We will most likely get a couple more from this brand and other brands to try. As for the other masks, many were average or below but the Cracare mask was great and we will be checking out their other masks as well. Have you tried any of these masks yet? What are your thoughts on them? Do you feel the same about them as we do? Share with us in the comments below! Disclaimer: These products were sent to us for review purposes. All opinions are honest and our own. This post contains some affiliate links, for more information check out the full disclaimer.